We can all be proud of what BPCP has achieved! 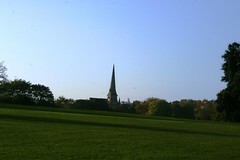 Lambeth’s application to the Heritage Lottery Fund for the restoration of Brockwell Hall was been granted a Stage 1 Pass in December 2018. This means that the HLF have given Lambeth the go-ahead to develop a detailed plan for the restoration and that money will come from the HLF to support it. 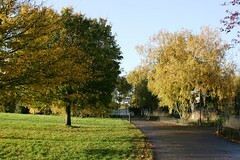 This is the culmination of several years of work by the Brockwell Park Community Partners who, with Lambeth’s support, developed the vision and outline plans for the Hall, commissioned the feasibility study from Land Use Consultants and MTW Consulting and submitted the first application to the HLF. BPCP members will remember the many discussions about red lines and the business case which took place more than two years ago now; these were an important part of the process of preparing the bid and formed the basis of Lambeth’s application, which was submitted last year. 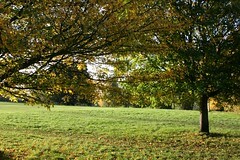 Many thanks to everyone who took part or who worked on the Brockwell Hall Steering Group. 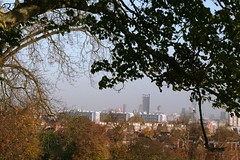 Lambeth has now been awarded development funds of £387,500 to develop a detailed plan for the restoration. Two years will be allowed for this, although it is hoped that the work could be completed more quickly and at the end of that time a further application will made to the HLF for the funds to carry out the restoration. The total needed will be around £6m, of which a proportion will come from Lambeth’s own capital funds. 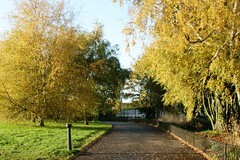 Lambeth will work in partnership with BPCP to develop the plans. Ann from SwanWatch rescues a lost (but completely unfazed) Brockwell cygnet from the Tulse Hill Estate, aided and abetted by Petra, Susy, the RSPCA and the local Police! As they grow up, young swans fly off to seek new homes for themselves but this one did not get very far. It has now been re-homed with a flock at Kingston onThames. Read Ann’s swan rescue blog here for news about our Brockwell swans and the work that the SwanWatch people do, entirely as volunteers. 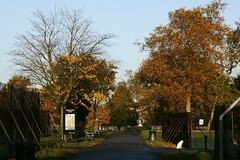 Look out for works to some dead or dying chestnut trees on the park boundary. 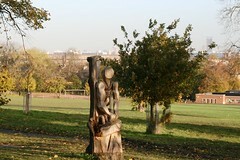 In line with Brockwell Park’s ‘rotting wood’ policy, some trunks will remain nearby where they are felled to provide habitat for invertebrates, including stag beetles. 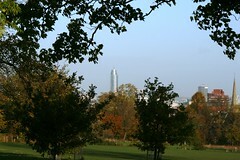 London in Bloom has awarded Gold to Brockwell Park in two categories: Heritage Park & Garden of the Year and Large Park (above 25 acres) Park of the Year. 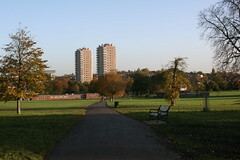 In the former category the Park is one of only two winners south of the river, and in the latter category stands pre-eminent as the only winner. 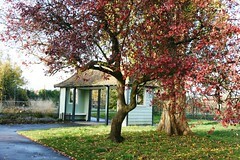 Brockwell Park’s third award saw it win Silver Gilt in the Walled Garden category. Congratulations are in order to Lambeth’s Parks Staff and volunteer groups who have contributed so much to maintaining the Park.